Once upon a time, hawker centres used to be filled with stalls selling chicken rice, nasi lemak, and prata. It was a place where you could get simple food at simple prices. Nowadays, every new hawker centre that’s popping up seems to be selling more and more hipster nosh, including lobster soup, wagyu beef, and tonkotsu ramen. 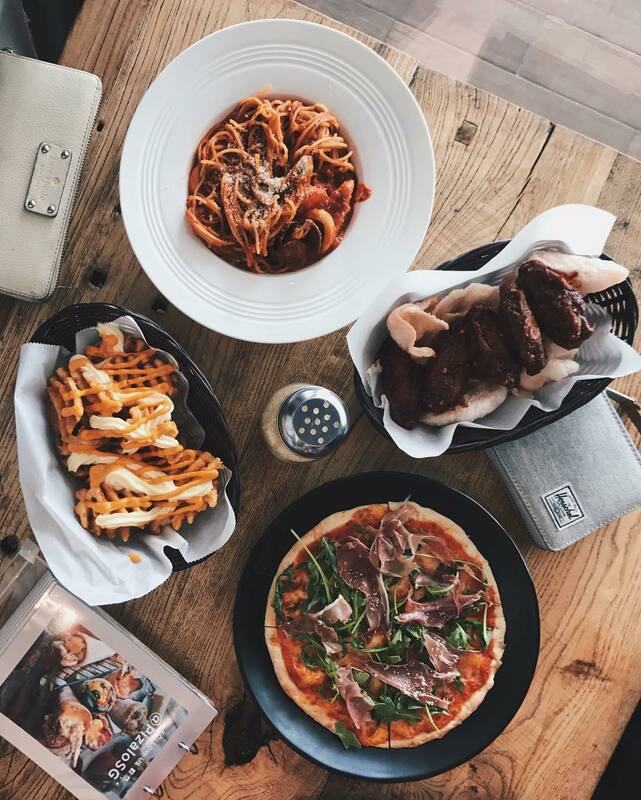 If you belong to the camp that loves getting Insta-worthy food at hawker prices, here are some hipster hawker centres – that is not good ol’ Timbre+ – to check out! 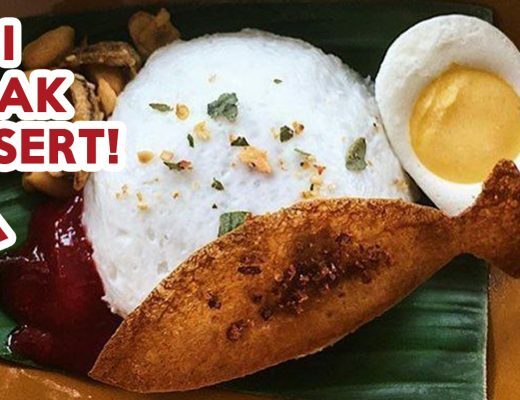 Opened on 25 January, Pasir Ris Central Hawker Centre is the newest hipster kopitiam on our sunny island. 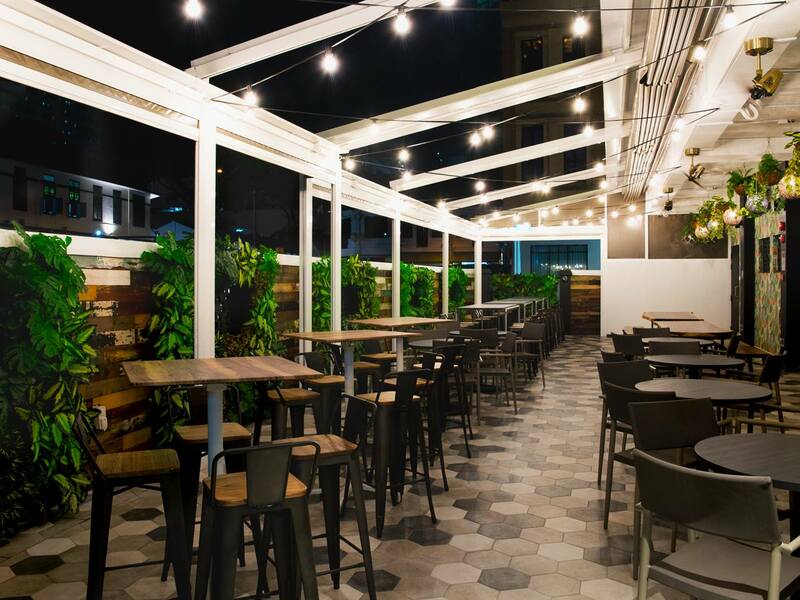 This two-storey food centre features old-school hawker fare on the first level, and hipster nosh on the second. It’s furnished with wooden tables and stools, with bright pops of colour standing out on walls and tray return stations. Some interesting hawker food to expect here include pulled pork burgers and ice-cream. 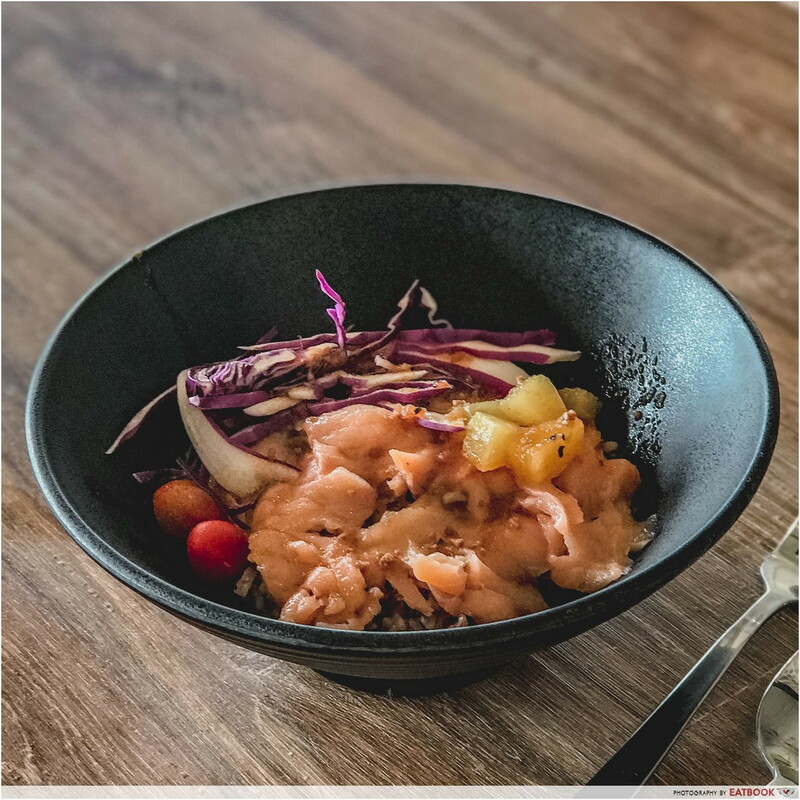 Those on a #fitspo diet can check out Ju Ju Pokebowls, which serves salad, pizza, and of course, poke bowls. Pictured here is their Hawaiian Smoked Salmon Poke Bowl ($6.90). Remember to opt for brown rice for a more wholesome meal! Those on a budget can head to level one; every stall there has at least two dishes that are priced at $2.80. 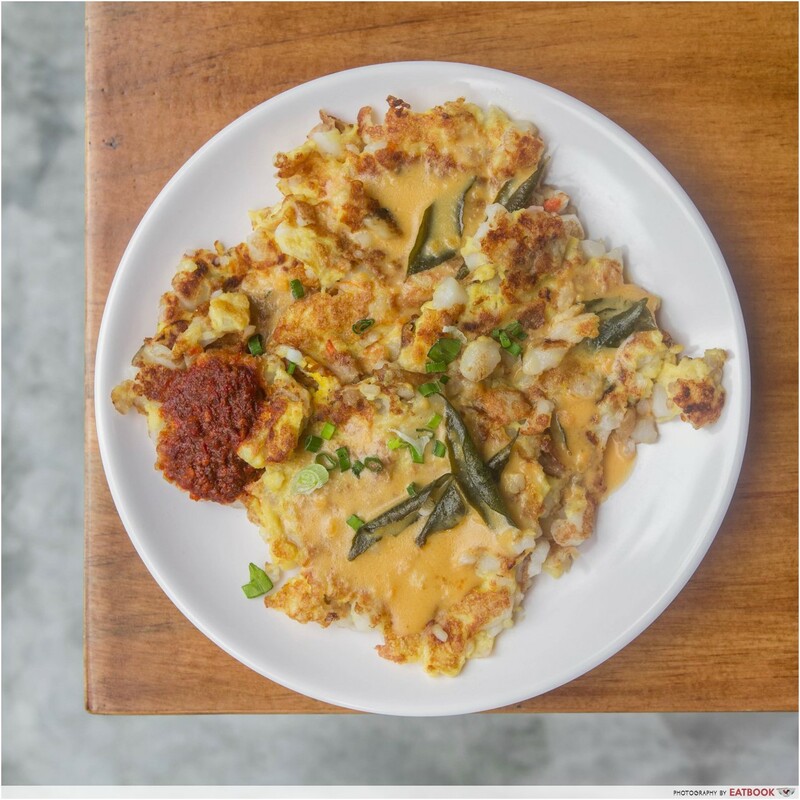 Newly opened at Kampong Glam is FOMO. 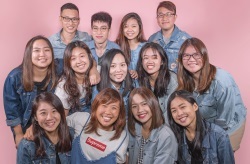 Every corner of this hipster hawker centre is designed to be Insta-worthy, so you’ll be able to find loads of backdrops for your OOTDs. One spot we recommend is the flight of stairs at the entrance of the building! FOMO’s food deserves a mention too. The Seafood Nasi Lemak Ambeng ($60) from Mr Wholly is one giant tray of nasi lemak rice sitting in the middle of prawns, clams, mussels, baby squid, baby lobsters and peanuts. The sambal is va va voom and sure to please any spicy food champ. 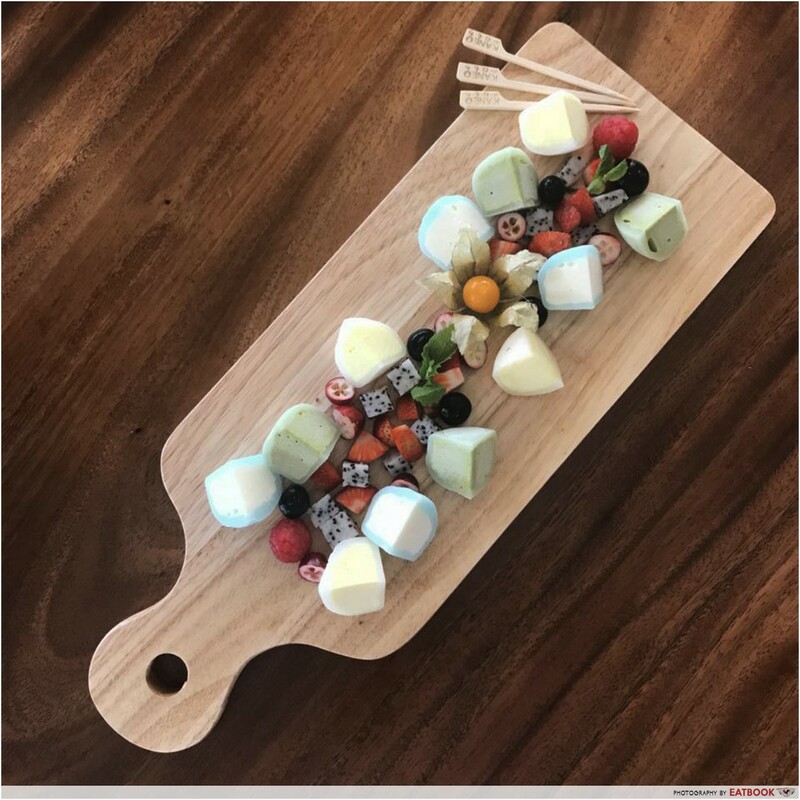 Turn down the heat after your meal with Kane Mochi’s Mochi Platter ($7.90). You’ll get three ice-cream mochi, each cut up into four smaller pieces. Tucked under the Great Eastern Centre building is Five Square. This huge unit is divided into three sections, namely a bar, food court, and private whisky lounge. There are six food outlets in the food court, include a pho stall and Teppei Syokudo. 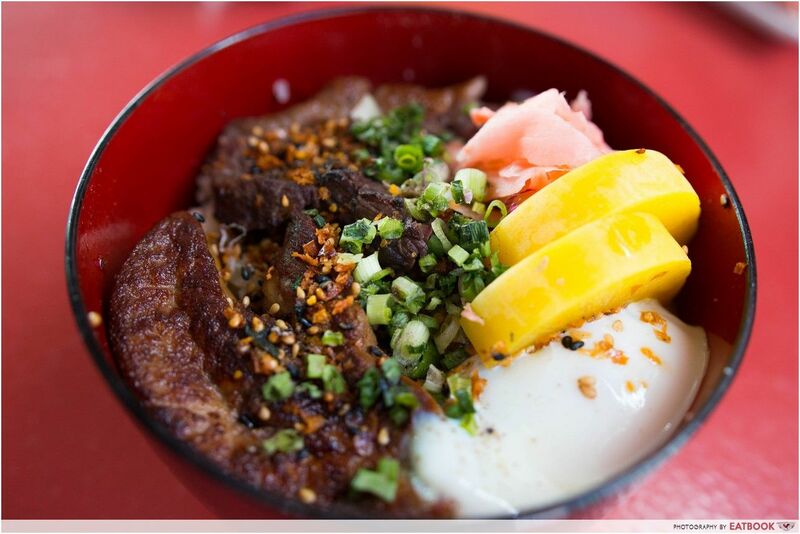 While we’ll always welcome a bowl of Kaisendon ($16), it’s probably better to get something unique to this place. 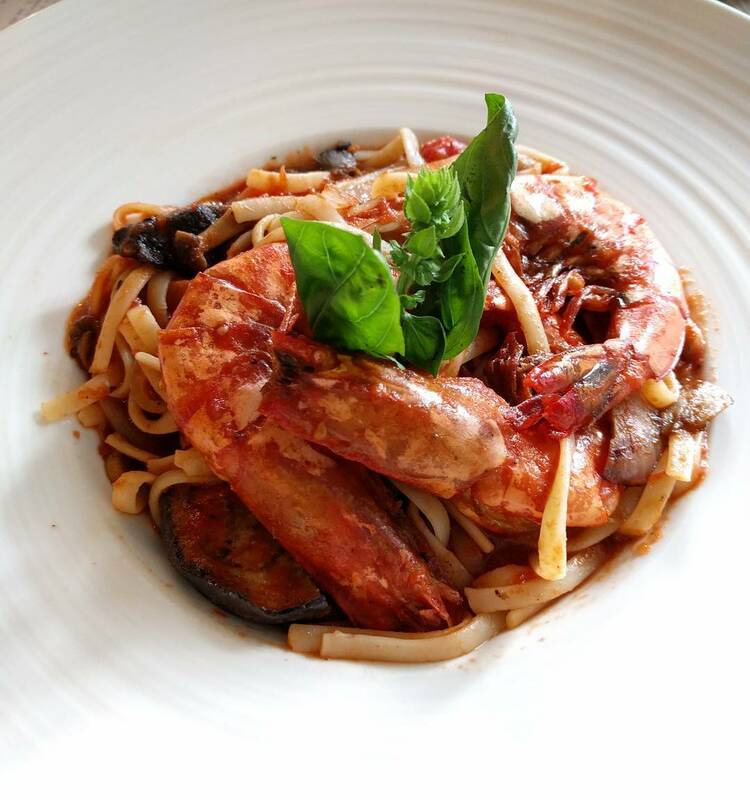 Cinqo Tapas serves a variety of pizza and pasta, and you can even DIY your own version for the latter at $7.90. Just pick a sauce, a type of noodle, one protein, and two types of veggies. 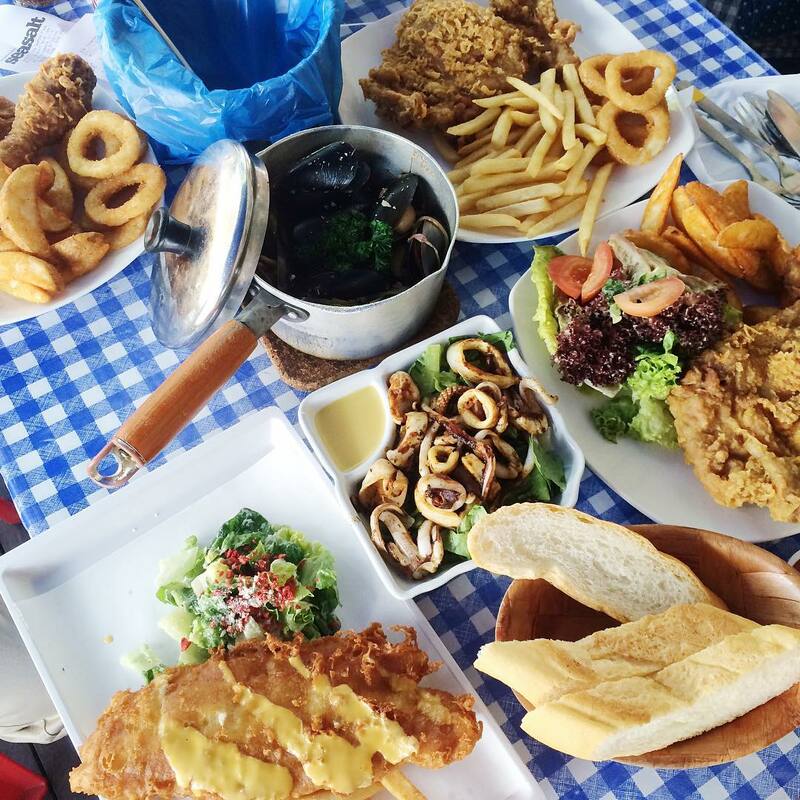 Starker Q opened in July this year, and gives us a reason to travel all the way to Punggol. 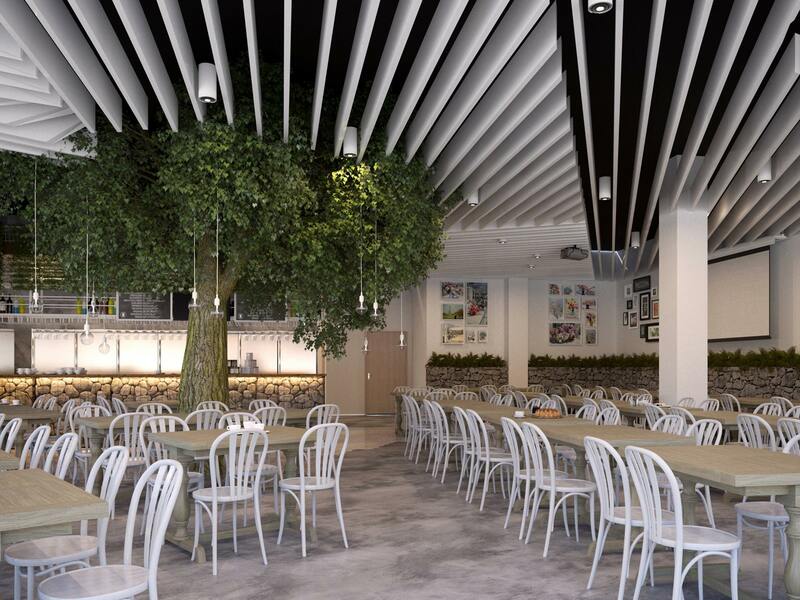 This huge space at Punggol Town Plaza houses all sorts of dishes, from satay to cone pizza and pancakes. Beer lovers, hit them up on Wednesdays from 7pm to 11pm for free-flow beer at $38++! Just like Wild Market, they offer live music frequently, so be sure to stalk their Facebook page to find out who’s performing when. 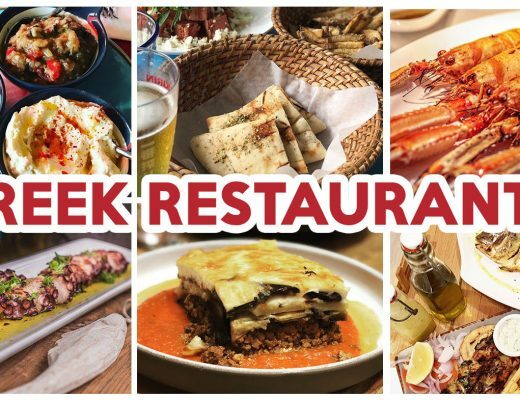 It really is possible to have a feast with dishes from all over the world here. Just get a Seafood Pajeon ($6.80) from Mukja, Clams in a Pot ($12.90) from Legend Seafood, pizza from Pizalo, and some ice cold beer. You’ll be able to get a full range of Starker Fresh Beer here at $16.90 a pint, and those who want to try more can get a flight of five beers at $20 – cheers! Hidden in an industrial area near Marymount MRT Station, District 20 offers only a handful of stalls. The variety of food here, however, is enough to please. From zi char to burgers, you’ll be able to find something to please your taste buds. With wooden tables all around and vintage decor lining the walls, this is a chill place to unwind with your pals at after work. 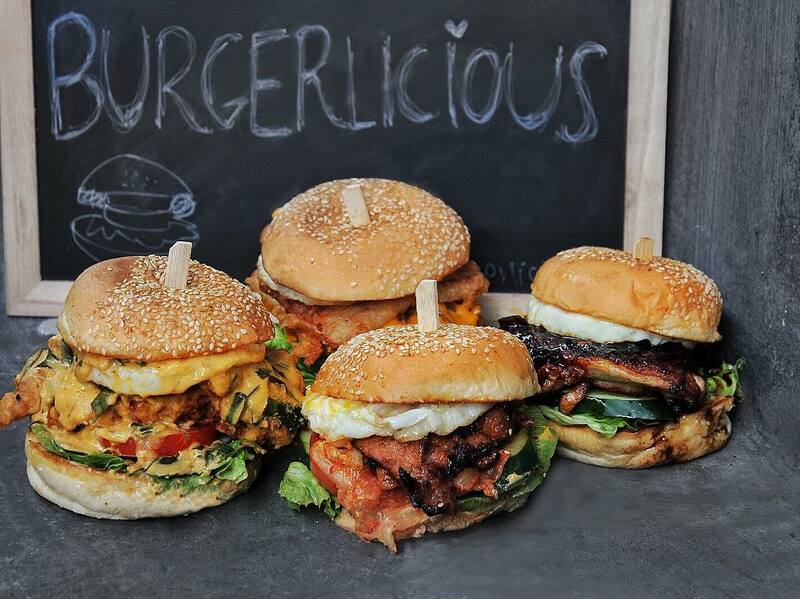 Food-wise, check out Burgerlicious, which is the latest addition to District 20. Prices start at $9, and you’ll get choices such as Grilled Pork Belly Confit Burger ($10) and Pork Bulgogi Burger ($9). For delicious seafood, check out Seasalt – The Seafood Place’s Fresh Mussels In Garlic Cream ($16) and Grilled Calamari Cajun ($8). 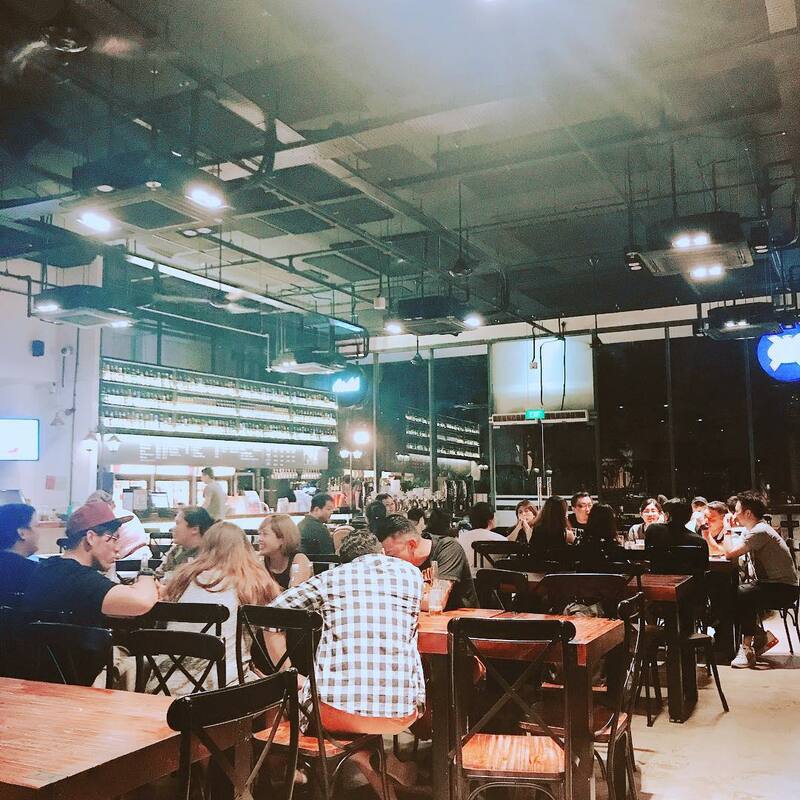 With its chic interior and a comfortable air-conditioned space, Wild Market is probably the most atas one on this list. From fish ball noodles to gimbap and Japanese food, you’ll be able to get quite a variety of nosh from the nine stalls here. They invite bands down every Wednesday to Saturday, from 7:30pm onwards, so pop by then to enjoy some tunes while you dine. Let your taste buds try something new with a plate of Salted Egg Carrot Cake ($5) from Wokz. Previously known as Ding, this stall specialises in chai tow kway and their salted egg one comes with the familiar sauce that gives this dish a creamy texture. If that’s not your thing, try the Mutton Biryani ($11.80) from The Ceylonese Affair or Meat Gimbap ($6.80 for eight pieces) from Love Bento. 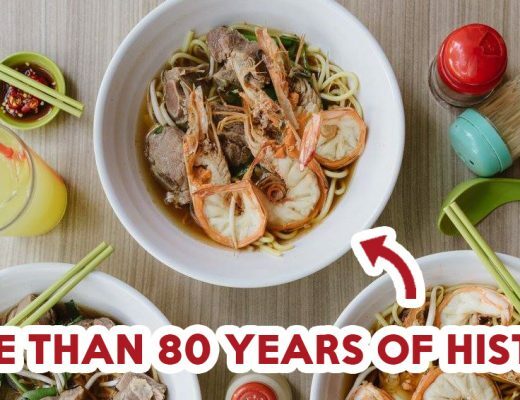 Opened in September, Yishun Park Hawker Centre is home to plenty of hipster and IG-worthy food including Curry Seafood Roasted Pork Noodles ($6.50) from Yap’s Noodles and Hakka Tofu Bowl ($5.50) from Ah Lock Tofu. While its decor doesn’t deviate much from the usual, it offers wooden tables and chairs. Plus, it’s pretty new, so the place is relatively clean compared to typical hawker centres. 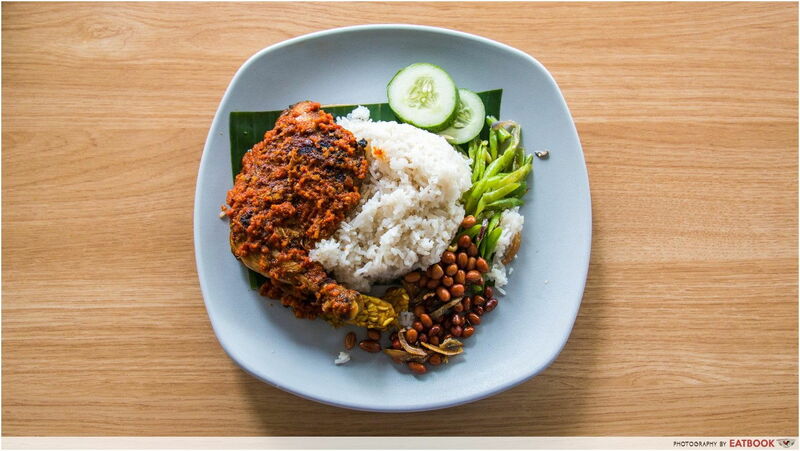 What you must try here is the Nasi Lemak Ayam Taliwang ($5.50). Grilled directly in a fire, each piece of chicken thigh served is packed with the fragrance of garlic and chilli. You’ll find that the huge chicken thigh is meaty enough to go with the generous pile of coconut rice by its side. Along with peanuts, anchovies, and fried long beans, this is one satisfying meal that can keep you full for hours. 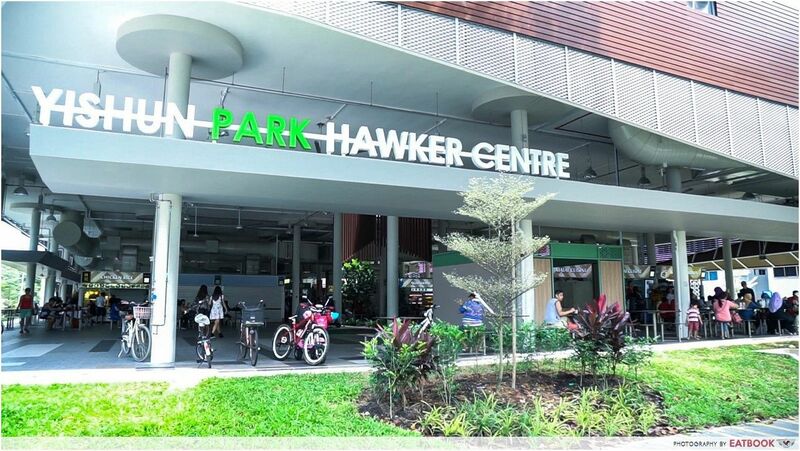 Find out more about Yishun Park Hawker Centre! 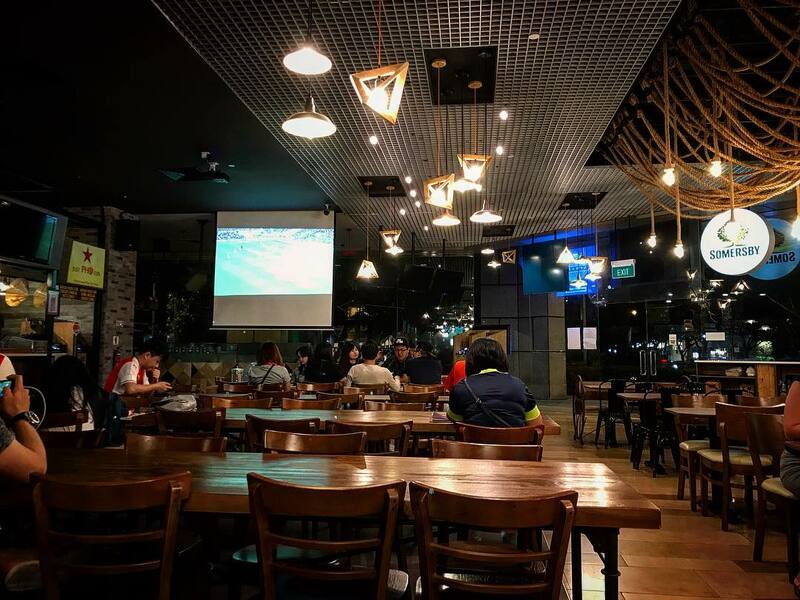 Essen @ The Pinnacle is an air-conditioned kopitiam found at The [email protected] While the food served is not as atas as the HDB it’s tied to, it is not your usual chicken rice or yong tau foo either. 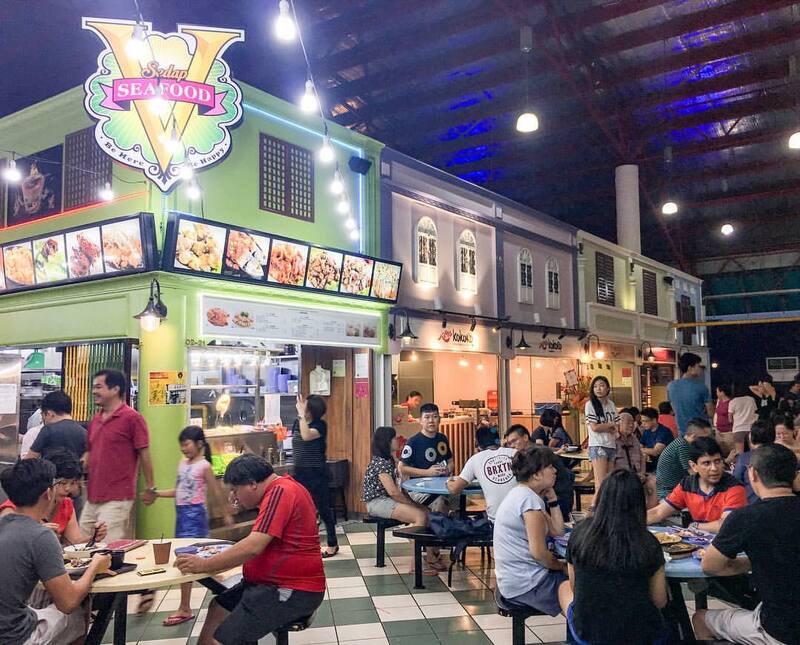 Stalls here include Burger Buddies, Two Wings, and LaStalla, which sells salads, pizza and pasta. 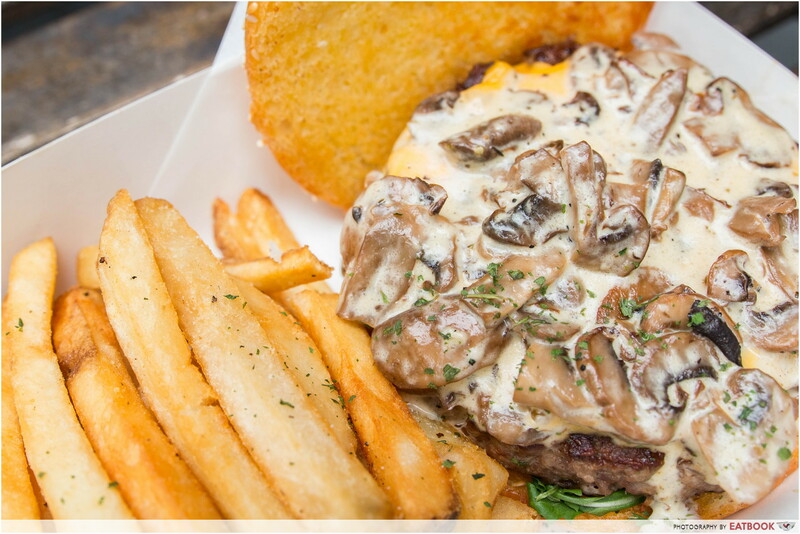 Don’t miss out on Burger Buddies’ Mushroom Beef ($14.90), as it offers a huge beef patty hidden beneath a generous portion of mushroom ragout and melted cheese. The patty weighs 180g, making this a seriously value-for-money meal. Their Chicken Pineapple ($12.90) is worth making a second trip for as well! Check out our full review of Burger Buddies! This one’s not new to the Easties. 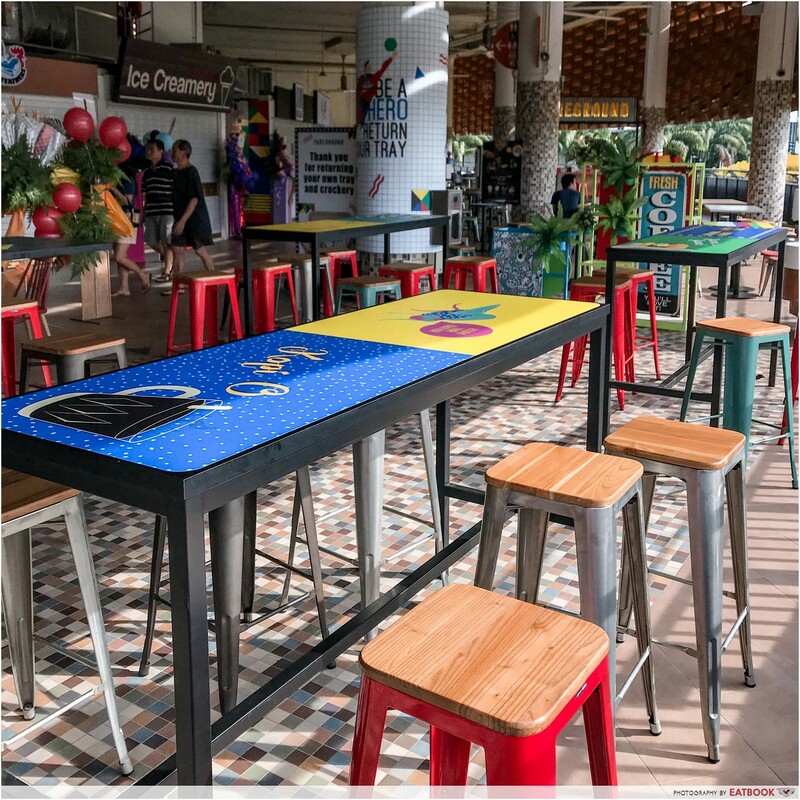 The Bedok Marketplace is home to several hipster stalls, including Urban Smokeshack, The Burning Oak, and Mike’s Caribbean Food. Aside from its cafe-worthy dishes, the interior here is one to note too. 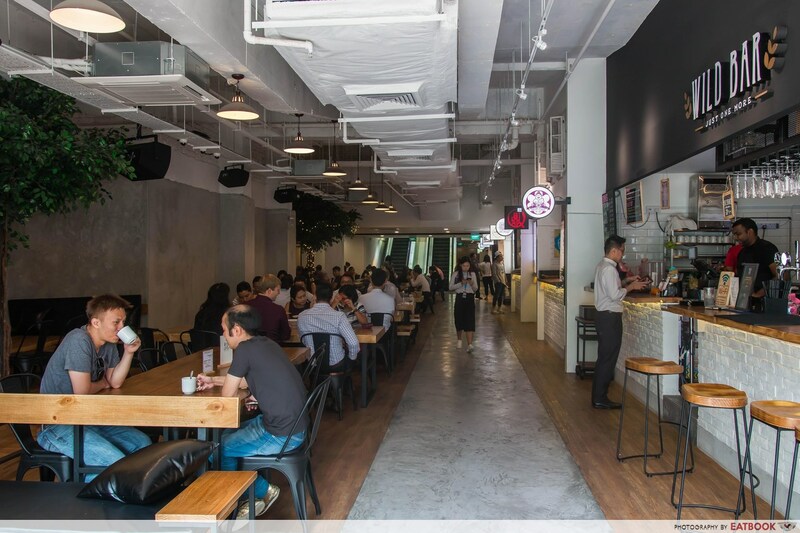 The stalls are made to look like old-school shophouses, and even though there is no air-conditioning, the spacious dining area won’t make you sweat buckets. One of the most famous dishes here is The Burning Oak’s Foie Gras and Beef Don ($20). It’s expensive for a hawker dish, but you’ll get 70g of foie gras and about seven slices of wagyu. For something less pricey, check out Urban Smokeshack’s Chicken Thigh with Buah Keluak Sauce ($6) or the Jerk Chicken ($10) from Mike’s Caribbean Food. 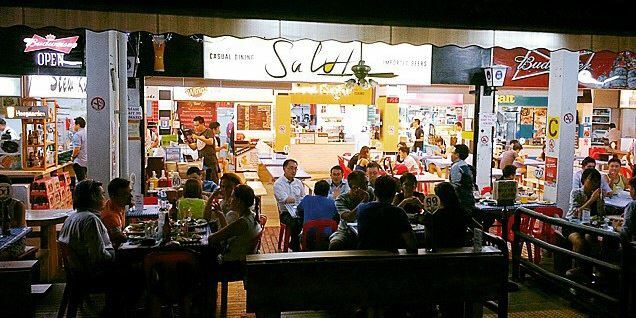 Save Salute Coffeeshop for days you want a fuss-free kopitiam experience with heart-clogging yet oh-so-satisfying grub. Most of the stalls at this neighbourhood kopitiam offer Western fare, so you can expect loads of meat, seafood, and fried snacks. They also serve craft beers, making this a casual, affordable spot for your next squad gathering or celebration. German pork knuckle isn’t the most commonly found dish in Singapore, much less at a kopitiam. So give the ones here a shot at $18 for half a knuckle or $29 for the whole thing. You can also get burgers at less than $20, and pasta as well as Indian cuisine. 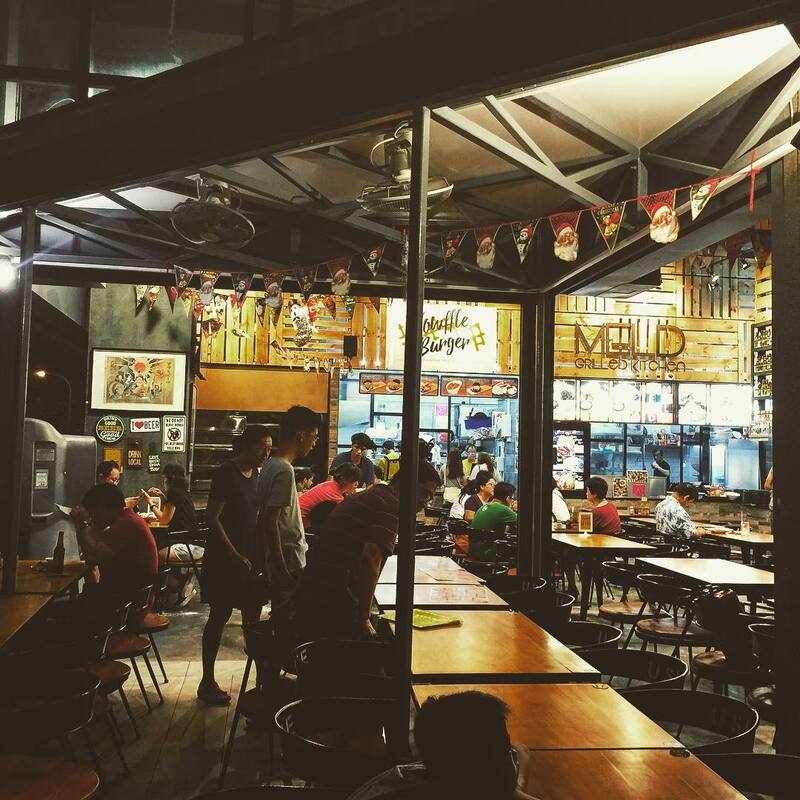 Hipster hawker centres like these hit the sweet spot between atas and ah beng. The next time you’re having a casual gathering with your pals, check them out for some delicious nosh that won’t break the bank. Comment down below if you know of any other hipster hawker centres or kopitiam!